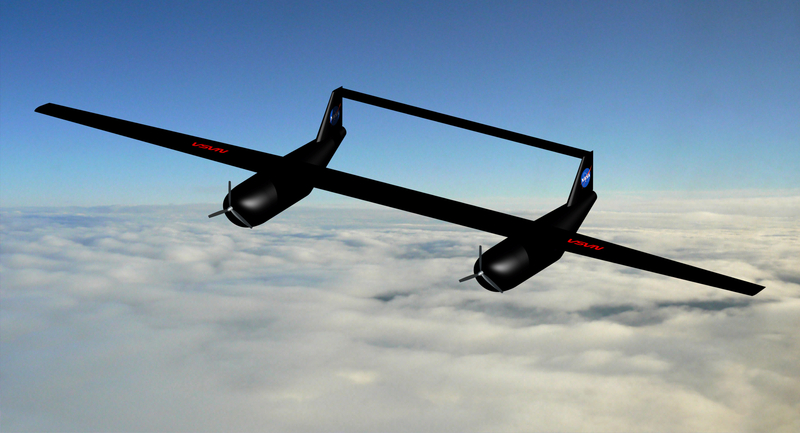 NASA has selected three winning designs solicited to address the technological limitations of the uncrewed aerial systems (UAS) currently used to track and collect data on hurricanes. Engineering teams at Virginia Polytechnic Institute and State University in Blacksburg, Purdue University in West Lafayette, Indiana, and the University of Virginia (UVA) in Charlottesville were named first- through third-place winners, respectively, of the agency’s 2013-2014 University Aeronautics Engineering Design Challenge. Accurate predictions of storm formation and growth require several days of uninterrupted observations and measurements. However, systems now in use to gather storm data, similar to the Global Hawk UAS, have a limited flight endurance of 24 hours per takeoff. Among other stringent criteria, papers submitted for the challenge had to successfully demonstrate how the team’s system design would provide persistent five-month aerial coverage over an area of the Atlantic Ocean off the west coast of Africa where tropical depressions can form into hurricanes. Through this five-month period, systems must be capable of flying non-stop a minimum of seven days. Virginia Tech’s team of nine university seniors won first place with its Gobble Hawk, an aerial system consisting of two aircraft, each with a flight endurance of 7.8 days and using liquid hydrogen as a fuel source. The team estimated the total cost of the system at $199.5 million for production plus 10 years of operation and maintenance. 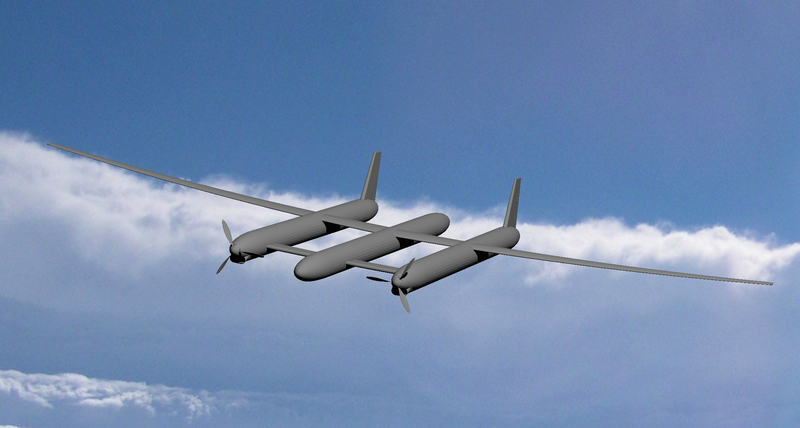 Taking second place, Purdue’s OQ451-5 Trident is a hydrogen-powered UAS capable of seven days of uninterrupted flight over the monitoring area. 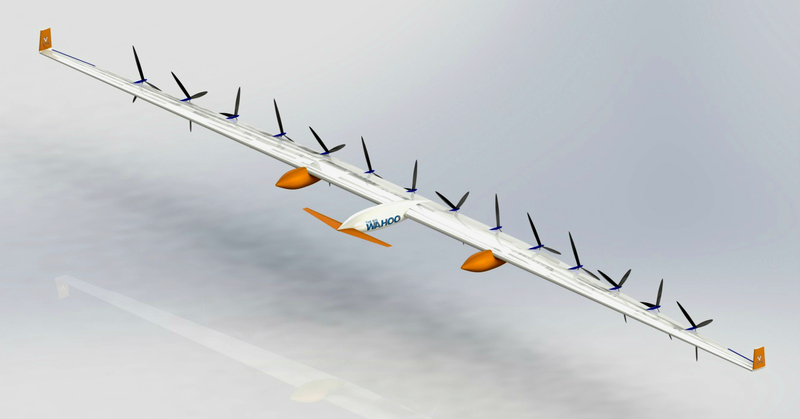 Its approximate costs include $310 million for design, $78 million for production and operating costs of about $17,000 per flight hour. UVA captured third place with its submission, an aircraft dubbed The Big WAHOO – a hat-tip to the school’s unofficial nickname and also an acronym for Worldwide Autonomous Hurricane and Oceanic Observer – has a flight endurance of 7.5 days. The team estimated the operating life of the aircraft to be 15 years, with a total lifecycle cost of about $493.7 million. For more than a decade, NASA’s unique University Aeronautics Engineering Design Challenge has inspired senior-level engineering students to develop innovative and cost-effective solutions to real problems faced by the global aeronautics community. Eight university teams submitted final entries for the 2014 challenge. The three winning teams will receive a cash award through an education grant and cooperative agreement with Christopher Newport University in Newport News, Virginia.